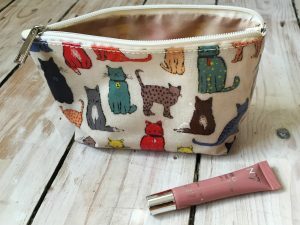 I have wanted to review this makeup bag that I had from the wonderful Lylia Rose, but I have used it every day since I had it! So I had to wait for a day that I could take it out of my bag to photograph it. I’ve had it for weeks and it still looks like new! It can be hard to find an attractive bag that fits everything you want in it, but that’s exactly what I got with this one. 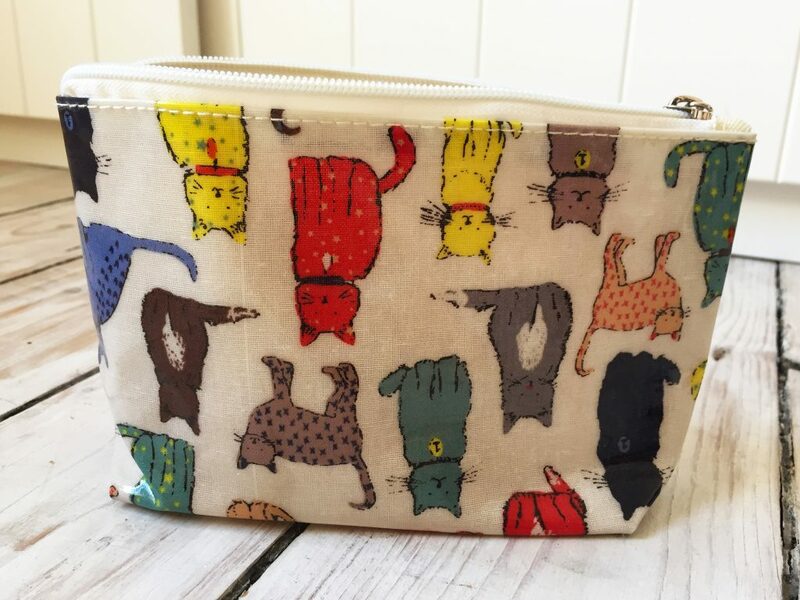 Being a huge fan of cats I found this to be a unique and colourful addition to my bag collection. The quality of the bag as a whole is excellent and I was surprised how large it was for the price. 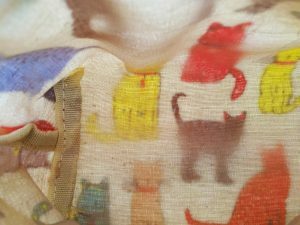 As you can see from my photograph of the bag on the inside the cats can clearly be seen, even though the bag is of decent thickness with a very good quality zip. The item was posted to me first class with excellent packaging, I was very happy with the service that I received. When it comes to using the bag I can definitely fit more inside than I need. 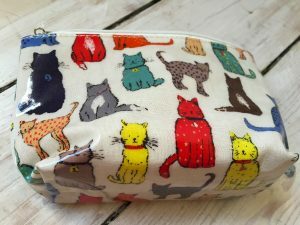 It’s great for an every day bag, and would fit into the majority of larger handbags. 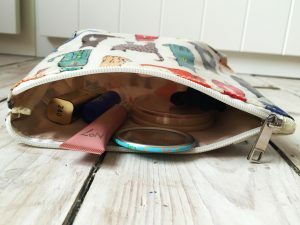 At one stage I could fit a compact mirror, a pressed powder, a lipstick, a lipgloss, a lip balm, hair bobble and some daily travel essentials such as tablets and tissues, with room to spare. 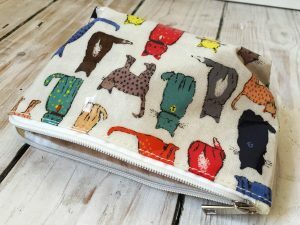 Thank you very much for reading this review, I am now off to put my fabulous pouch back where it belongs, in my handbag. If you haven’t heard of Lylia Rose then their entire website can be found here http://www.lyliarose.com/ and you can also find them on Twitter so you can keep up to date with all the latest products for sale! This entry was posted in Beauty, Lifestyle, Makeup, Reviews by Sabrina. Bookmark the permalink. This is just too much cuteness for my eyes. So sweet!